A huge thank you to Barclays Bank who came along to our club evening on 5th February to present us with a cheque from a local Golf Day which they supported. The sun shone on the Penrose Club stall at the Staines-upon-Thames Day on Sunday 1st July. 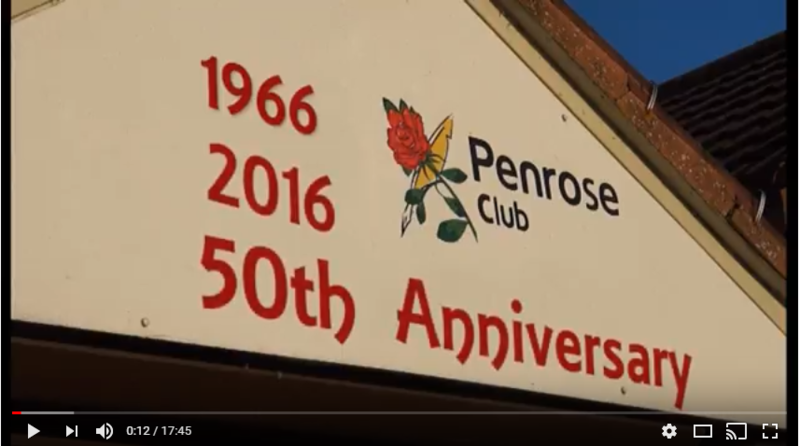 Once again we ran the popular Human Fruit Machine game and raised awareness for The Penrose Club with our photo board and by handing out leaflets about the club. On the day, we were delighted to receive a very generous donation from the Gordon Bourne Lodge, represented by James Wood, in the presence of the Mayor. Please check out the Photo Gallery for the winners of Stars in Your Eyes 2018 and the Presentation Night awards! The Runnymede & Spelthorne Volunteer Awards were held at Royal Holloway University of London on Tuesday 29th May 2018 and we are delighted to announce that Ray was awarded 2 certificates for his contribution to fundraising and volunteering with The Penrose Club – the “Inspirational Volunteer” award and the “Enterprise Lifetime Achievement in Volunteering” award which were presented by the Mayors of Runnymede & Spelthorne. Many congratulations Ray on this very well-deserved recognition. We thank you for everything you do for The Penrose Club. 50 Years of Caring and Sharing – click here to view the video on YouTube. Please share it with your friends and families! The proceeds from the Christmas fundraising concert by the New Egham Singers at St John’s Church, Egham have been handed over to The Penrose Club at a recent Club Night with the story being covered in The Villager free newspaper. £1,250 was raised from the proceeds of ticket sales, refreshments and raffle. Thank you so much to The New Egham Singers – a 100 strong choir featuring our very own Penrose helper Sharon Thapper (soprano). 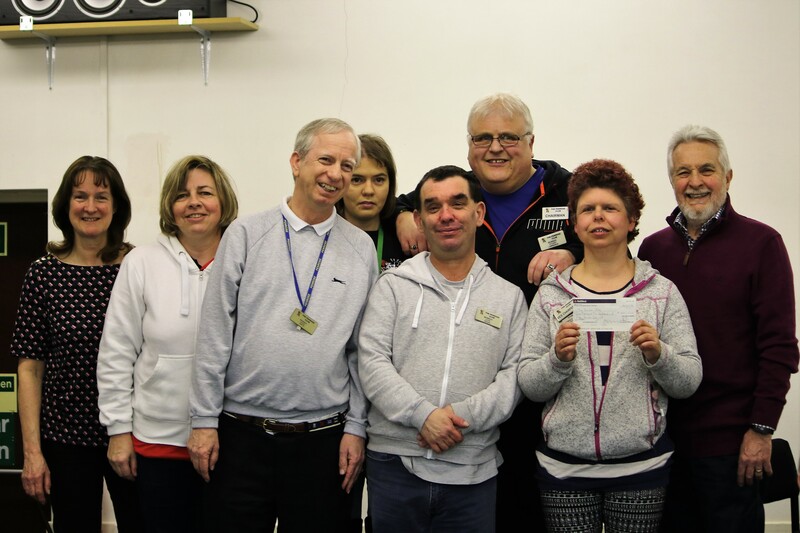 Thanks to the very generous shoppers at Waitrose Egham before Christmas, The Penrose Club has benefited from the Waitrose Community Matters donations and a cheque for over £300 has been received! 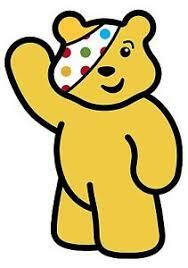 A massive thanks to our members who raised £350 for Children in Need at the fundraising disco in November at Staines Community Centre. Pictures of the event can be found here. 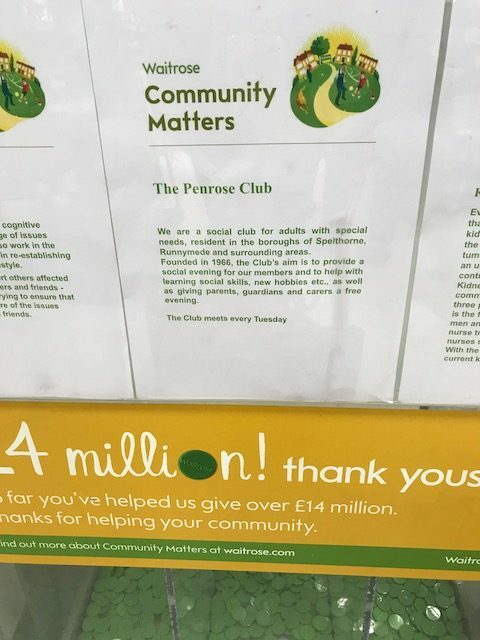 We have been notified that The Penrose Club will receive a donation of around £1,400 as a result of the Co-op “Local Community Fund”, whereby the Co-op donate 1% of everything their members spend on own branded products and services to local causes. The cheque will be presented later in December. Our friend and former helper, Peter Marchant completed his 17 day sponsored hike through the mountains of the Himalayas to Everest Base Camp back in April, in aid of the Penrose Club. We congratulate him on his amazing achievement and thank him for his generous donation.